Try A Furniture Moving Dolly and Give Your Back a Break! If moving furniture were an everyday thing like cooking and eating are, I bet you’d prefer sitting and sleeping on the floor. It’s a good thing that we only need to move our furniture every once in a while. Be honest about it, though, it’s still a chore you’d rather not do, isn’t it? We normally find moving furniture a backbreaking, time-consuming, and unpleasant task. But is it that difficult? Surely, there’s an easier way to do it? Why else would there be professional movers, if moving furniture and appliances weren’t something, even faintly, likeable? Well, there is a way, actually. A furniture moving dolly will make a world of difference! What kind of thing is furniture moving dolly? A dolly which provides support and maneuverability for moving furniture and appliances is called furniture moving dolly. Generally, it is configured like a low platform with a minimum of four wheels, but there can be as many variations as there are different types of furniture and appliances. Whether you’re simply rearranging stuff at home or doing something major like relocating to another house, an assistant on wheels will make your life easier. What are some products that best represent this category? We have at least 30 products in this website under this category. You’d immediately notice that while most of these dollies are 4-wheel platforms, there are products that clearly deviate from this typical configuration. 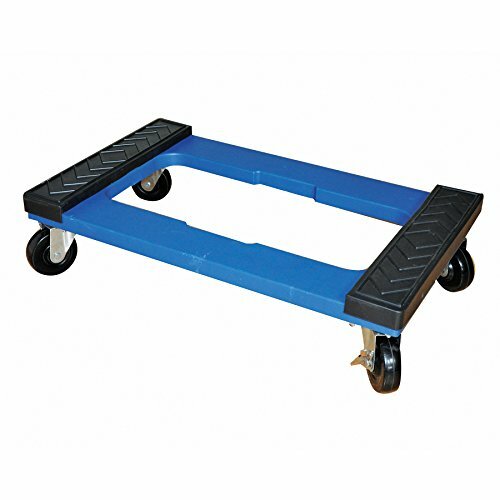 Vestil ATD-1622-4 is what we’d call a typical 4-wheel furniture moving platform, though there’s nothing typical about its whopping 2000-lb capacity. It’s definitely one for the big leagues. 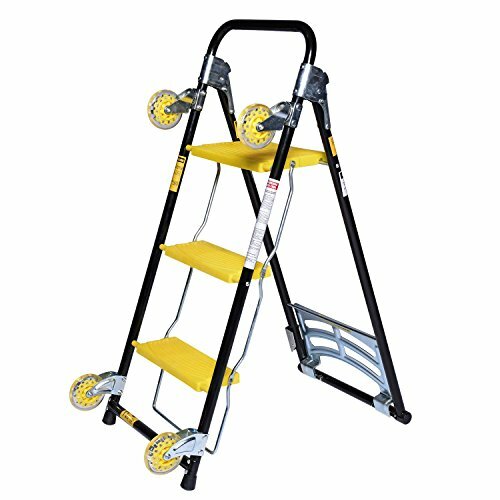 The welded steel construction adjusts its sides with screws to accommodate different dimensions of load up to a maximum of 34”L x 24”W. 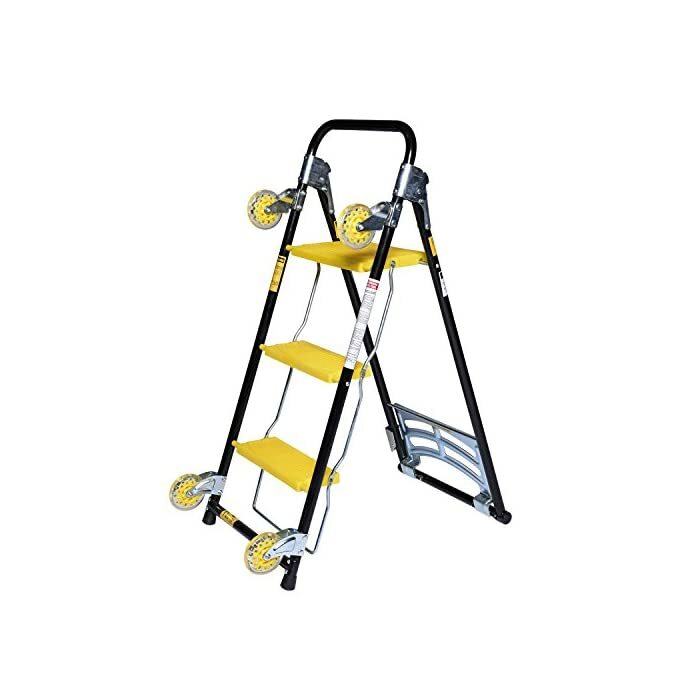 It has four floor-friendly 4-inch casters made of high-grade nylon. One of the casters is equipped with a brake for added safety and convenience. This equipment is your best choice for handling gun safes, freezers, washers and dryers, and large cabinets. 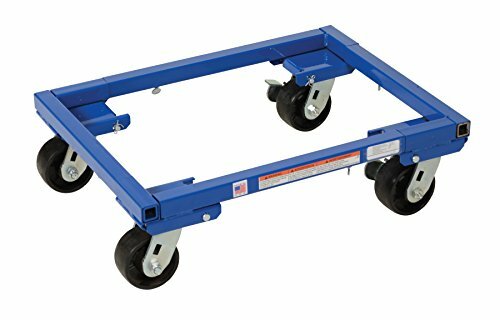 Milwaukee’s 73730 Poly Furniture Dolly is another platform-style dolly, with a much cheaper price tag and lower capacity of 1000 lb. It is made of molded polypropylene (or poly) with steel reinforcement and rubber padding. This is an all-around dolly for use at home. You’ll find that it’s a well-reviewed tool by furniture dolly Lowes buyers, too. Taking a totally different shape is Hu-Lift FM180B Steel Hydraulic Furniture Mover. The hardworking flat furniture dolly has evolved to an upright workhorse! We can’t help but think of man’s evolution. Is this evolved version better, though? (Uh, the upright dolly, we mean, not the Homo sapiens.) One thing’s sure – it’s packed with muscles and designed with spectacular capacity of 3,960 lb. It goes without saying that this heavyweight, plus the load that goes with it, is one that’s best handled by the pros. For lighter furniture with legs, such as a sofa or couch, you don’t need heavy platforms. They have legs and feet, right? Then walk them. Just put these 3-wheeled “shoes” on each foot to make them glide smoothly. You get four pieces of Haul Master Mover’s Furniture Dolly per pack. Each piece has three 1-1/2” casters and a deep center which secures each foot. This 4-piece dolly has a capacity of 132 lb. If you want something to lug inside your car trunk so you can use it whenever you need to haul chairs, bins, or boxes, Lohome 6 Wheels Folding Hand Truck would be perfect. It has six wheels, expandable at the base, and could take up to 440 lb. It collapses into a flat piece with a handle for easy storage. You haven’t seen them all if you don’t know about Ivation 4-in-1 Furniture Dolly. This transformer can be used as a 150-lb capacity hand truck, an 800-lb capacity furniture platform dolly, a trolley cart, and a step ladder that supports 200 lb. Neat design concept, don’t you think? As you can see, furniture dollies take various forms. They’re designed and made with different materials, capacity, and number of wheels. There’s an unending innovation of this tool, too, so you can expect updates on the products currently featured on this site every now and then. Having the perfect furniture moving dolly definitely simplifies moving heavy furniture and reduces your risk of straining your back. However, it is not the be-all and end-all of moving stuff. On the day of the move, you’d have to have a plan about which item goes first (or next, or last), how to move it, and where. If you have a floor plan indicating the final position of all the furniture, then that’s awesome! You and the other movers will be guided visually to a common end. Your aim should be: To lift a piece of furniture from A to B only once, never twice. Where it lands is where it stays.